SAN FRANCISCO, CA – Eager audiences flocked to secure seats in a ticket buying frenzy for the upcoming Diana Ross concert in San Francisco. Within days, Market Street’s magnificent Golden Gate Theatre was sold out. The highly anticipated one-night-only performance on Friday, September 16 will feature a full theatrical experience, including breathtaking costumes and stage design, and a live string and horn section. The recording superstar’s last performance in the city was in 1969 at the Venetian Room in the Fairmont Hotel, when she performed with the Supremes. In a legendary career that spans decades and includes unforgettable performances in film, Broadway, and television, Diana Ross is an icon of the American music industry, recording 18 number one hits and selling over 100 million records. She is an Academy Award-nominated actress, a Tony award winner, a Golden Globe winner, a bestselling author, winner of 8 American Music Awards, and a recipient of The Kennedy Center Honors. “We are very excited to bring Diana Ross back to San Francisco after such a long absence, and we are extremely pleased with the overwhelming response we’ve received from her fans, from both the Bay Area and around the world,” said Rick Bartalini, the event’s promoter. A limited number of premium seats to the San Francisco performance are still available through the event’s sponsors, Hotel Fusion and Infusion Lounge. The Diana 5D Experience Package (Dine, Drink, Dance, Dream and Diana) includes a pre-concert 3-course prix fixe dinner at Infusion Lounge, a bottle of champagne, two premier seats for the performance, exclusive VIP access to the Global Party hosted by Infusion Lounge following the concert, deluxe overnight accommodations at the adjacent Hotel Fusion, continental breakfast, and overnight valet parking. The Diana 5D Experience Package is $750 per couple and is available by contacting Mark Dean at 415-474-5800 x318 or mdean@ctwohotels.com. A limited number of seats are still available the Diana Ross performance at the Marin Center in San Rafael on Saturday, September 17 by visiting www.rbpconcerts.com. will include breathtaking costumes and stage design, along with a live string and horn section. SHN’s Golden Gate Theatre is one of the West Coast’s premier venues for live entertainment. Gate Theatre is just a couple of blocks from BART and MUNI. Presenting sponsors Hotel Fusion and Infusion Lounge are offering pre-concert special chef’s menu dining and deluxe accommodation packages. For more information, visit www.ctwohotels.com. 746-1799. Tickets are $250/$125/$75 and $55. October 30, 2011 at 8:00 P.M.
For the last fifteen years, Bill Maher has set the boundaries of where funny, political talk can go on American television. First on “Politically Incorrect” (Comedy Central, ABC, 1993-2002), and for the last seven years on HBO’s “Real Time,” Maher’s combination of unflinching honesty and big laughs have garnered him 21 Emmy nominations. In October 2008, this same combination was on display in Maher’s uproarious and unprecedented swipe at organized religion, “Religulous,” directed by Larry Charles (“Borat”). The documentary has gone on to become the seventh highest grossing documentary ever. With Maher’s politically incorrect brand of humor, his stand-up debut in Fresno will make for a thought provoking evening. The majority of registered voters in both the city and the county of Fresno are Republicans. Nevertheless, Democrat Barack Obama carried the county by 50.2% in the 2008 presidential election. With a population of 502,303, Fresno is the fifth largest city in California, the largest inland city in California, and the 34th largest in the nation. Fresno is located in the center of the wide San Joaquin Valley of Central California. Tickets for Bill Maher at William Saroyan Theatre are $49.50 and $69.50 and go on-sale at 10:00 A.M. on Friday, June 24, 2011. To purchase go to www.RBPconcerts.com. 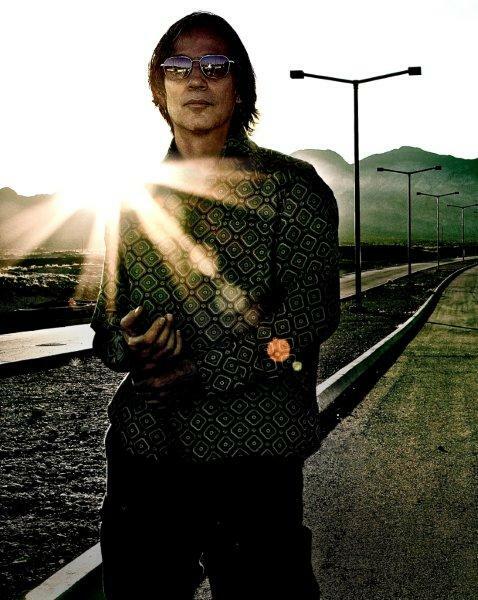 LOS ANGELES, CA, June 1, 2011: Singer-songwriter Jackson Browne has extended his 2011 Solo Acoustic Tour with an additional string of U.S. dates this fall, adding dates at the Flint Center in Cupertino and at the Marin Center in San Rafael. Tickets go on-sale July 15 at 11:00 A.M. for San Rafael and August 12 for Cupertino at www.RBPconcerts.com. Jackson Browne’s 2011 Solo Acoustic Tour began in February. Playing guitar and piano, he plays songs spanning his entire body of work, with varying set lists each night. One of the many guitars Jackson has brought on the road this time out is the just-released Gibson Acoustic Jackson Browne Signature acoustic guitar. The handmade instrument, inspired by Gibson’s legendary 1930s-era Roy Smeck model, is the first guitar to bear Jackson Browne’s name. In 2009 and 2010, Jackson’s tours served as proto types to Bandit Lites, using 100% LED rigs, which helped the development of the new GRNLite technology. Using GRNLite technology, the Bandit Lites’ rigs greatly reduce energy consumption. Jackson’s tours strive to be plastic-free both onstage and backstage. It’s estimated that since 2008—through approximately 150 band shows and 100 solo acoustic dates—his tours have saved more than 53,438 plastic bottles from landfills and ocean gyres. In 2010, Jackson joined with Brita’s FilterForGood movement, making Brita Hydration Stations available to dispense filtered water, free-of-charge, to concert attendees. Jackson is a member of the Plastic Pollution Coalition (www.plasticpollutioncoalition.org), a global alliance of individuals, organizations and businesses working to stop single use plastic and its toxic impacts on humans, animals and the environment. Throughout his career, Rick Bartalini, Founder of Rick Bartalini Presents, has built relationships with the highest-level professionals in show business, brought HBO to the Bay Area for a series of hit comedy specials and presented artists such as Johnny Mathis, Lyle Lovett, Dolly Parton, George Lopez, Carole King, Steely Dan, Juan Gabriel, Sheryl Crow, Diana Krall, Ellen DeGeneres and Keith Urban. Audiences and entertainers experience his tradition of the finest artists, aggressive marketing and warm hospitality. Rick Bartalini Presents is also currently presenting the Moody Blues on May 24 at the Marin Center in San Rafael, An Acoustic Evening with Lyle Lovett and John Hiatt on June 9 also at the Marin Center in San Rafael (tickets for both shows on sale now). Bartalini will also co-produce the 2011 Lewis Black Comedy Cruise. Tickets for Bill Maher at Sacramento Community Center Theater are $49.50 and $69.50 and go on-sale at 10:00 A.M. on Friday, April 29, 2011. To purchase go to www.RBPconcerts.com. (Napa, CALIF.) — Diana Ross is set to appear this September and for the first time at a small venue in Northern California. Produced by Rick Bartalini Presents the concert by the superstar will take place on Saturday, September 17 at the Marin Center in San Rafael. On Friday, April 29 at 11 a.m. tickets go on sale for the first-ever appearance by Ross at the venue. The concert will be intimate and unlike any other performances of Ross’ career. The Marin Center seats 2,000 patrons. Diana Ross, her music and her voice are legendary. The concerts, a full theatrical experience, will include breathtaking costumes and stage design, along with a live string and horn section. Ross has sold over 100 million records and recorded 18 number one hits. Her music became the sound of young America in the ‘60s soon after she signed with Motown Records in 1961 with The Supremes. She embarked on her extraordinary solo career in 1970, and has not stopped since. Ross has had a profound influence on American popular culture, ultimately becoming an entertainment industry icon. She is an Academy Award-nominated actress for her role as Billie Holiday in “Lady Sings The Blues,” as well as a Tony and Golden Globe winner, bestselling author, winner of 8 American Music Awards and a recipient of The Kennedy Center Honor. As a woman of great style and beauty she has been featured on covers of hundreds of magazines. Rick Bartalini Presents is also currently presenting the Moody Blues on May 24 at the Marin Center in San Rafael, An Acoustic Evening with Lyle Lovett and John Hiatt on June 9 also at the Marin Center in San Rafael (tickets for both shows on sale now), as well as Bill Maher at the Sacramento Community Center Theater on August 19 (tickets for Bill Maher go on sale Friday, April 29 at 10 a.m.). For more information visit www.rbpconcerts.com. Tickets for Diana Ross shows, which are $75/$100/$150 for the Marin Center in San Rafael, go on sale at 11 a.m. on Friday, April 29, 2011. To purchase go to www.rbpconcerts.com. Lyle Lovett and John Hiatt are teaming up this spring for a series of intimate acoustic shows that will feature both artists performing side-by-side, alternating songs from their respective careers. Utilizing their dynamic chemistry to mix witty banter with finely crafted country, swing, folk, and blues, Lovett and Hiatt have been touring together in one fashion or another since 1989. Four-time Grammy Award winner Lyle Lovett has created his own style of Americana music in a career that spans 14 albums and more than four million records sold. Since his self-titled debut in 1986, Texas-based Lovett defies convention by fusing an array of genres with a unique gift for storytelling, as evidenced by such well-known songs as “If I Had a Boat,” “She’s No Lady,” and “My Baby Don’t Tolerate.” Recorded with his Large Band, Lovett’s latest album, Natural Forces (Curb/Lost Highway), combines original songs with those by fellow Texas songwriters he admires. Lovett and Hiatt, each with more than a dozen albums to their credit, swap stories and songs, setting aside respective bands for the opportunity of delivering one of the most compelling “unplugged” concerts on the road. (Santa Rosa, CALIF.) —Rick Bartalini Presents announced today that Lyle Lovett and John Hiatt will perform for the first time at the Marin Center in San Rafael, CA on June 9, 2011 at 8:00pm. Tickets for An Acoustic Evening with Lyle Lovett and John Hiatt at the Marin Center in San Rafael, California, June 9 at 8:00pm go on-sale Saturday, April 2 at 11am PT. Tickets are: $49.75/$69.75/$89.75.